Are you the type of person who goes for a bold look or traditional when decorating your home? Bear just texted me a picture of a completed project that we were fortunate to be a part of. This very unique lavatory bathroom is just a glimpse of the amazing work our team is capable of. Sure we handle the day to day plumbing issues for home owners and business owners in the Klein area. These projects are just fun! 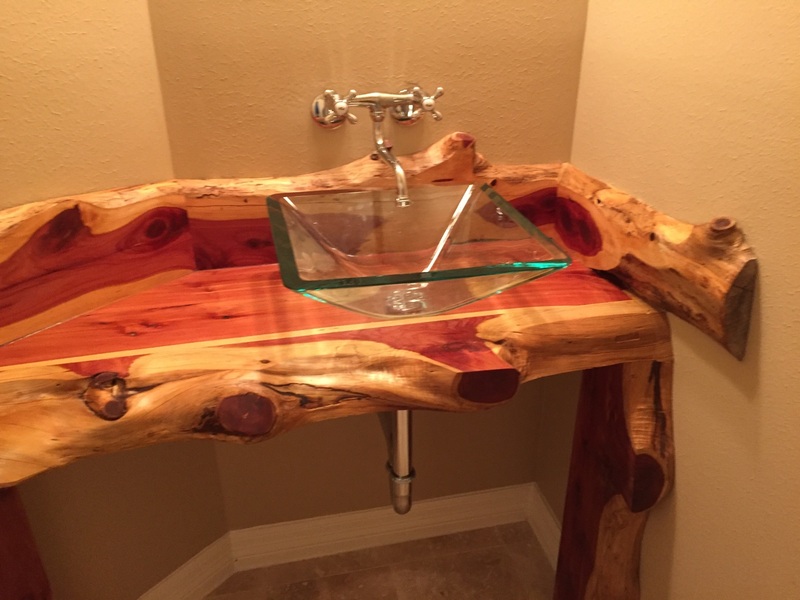 This was a custom made counter by MW Hansen Construction.